Aiyaiyai is not the name of the book (although that would be a cool title), it’s an expression to summarise how I am now feeling. 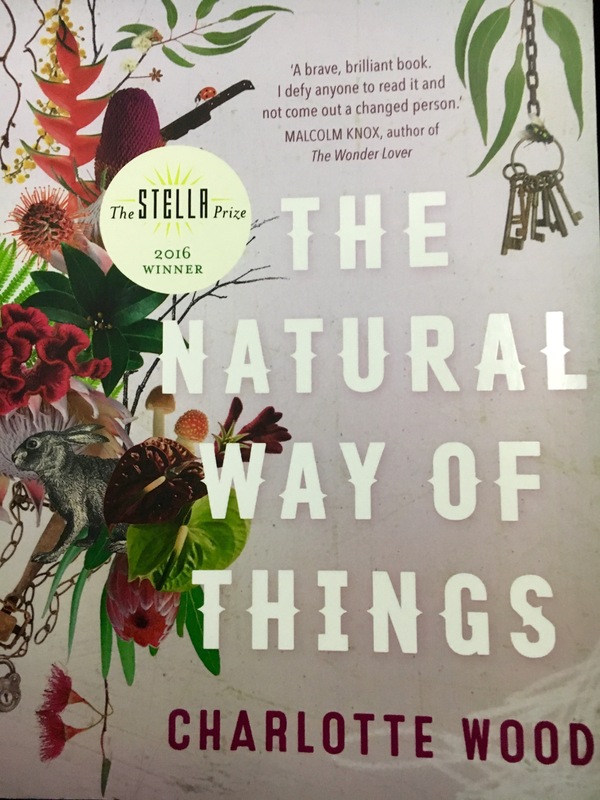 On the plane this afternoon I read Charlotte Wood’s novel, “The Natural Way of Things”. I had started reading it almost a week ago, on my flight to Perth, but had only read a few chapters and was mostly confused, to be honest. I chose the book from my favourite local bookshop, The Grumpy Swimmer, because it had a sticker on it saying that it was the 2016 Stella Prize Winner. And the font was nicely spaced out so I knew it would be easy to read on the plane. A shallow choice, I guess, and the purchase definitely went against my new “one in, one out” policy (to limit the number of books stacked on my bedside tables, and bookshelves, and side tables, and on the floor next to the bedside tables). Anyway, I am writing this on the plane after just finishing the novel (don’t worry, my phone is in aeroplane mode and the post will publish after landing). I am afraid that it’s one of those books (or movies) that has left me feeling as though I can’t speak. The praise from other authors (featured on the book’s covers) includes words like: “A brave, brilliant book.” And, “terrifying, remarkable and utterly unforgettable”. And, “it gets under your skin, fills your lungs, breaks your heart”. I can see what they mean, but I would describe the book as “bleak”. Really bleak. (I can see that mightn’t help to sell as many books though.) And it’s powerful, but in a horrible way that made me quite happy to get to the end, albeit with a hollow feeling inside. But then I was disappointed with the ending, which made the whole thing even darker. Yikesy mama, what a ride. In a nutshell, Charlotte Wood is undoubtedly a great writer and this raises some interesting points about how women are seen in society. But it was too dark and bleak and empty for me – definitely not a light or uplifting holiday read!